The division has a new name, Xandr, and a mandate to create a marketplace for targeted TV and online video advertising. 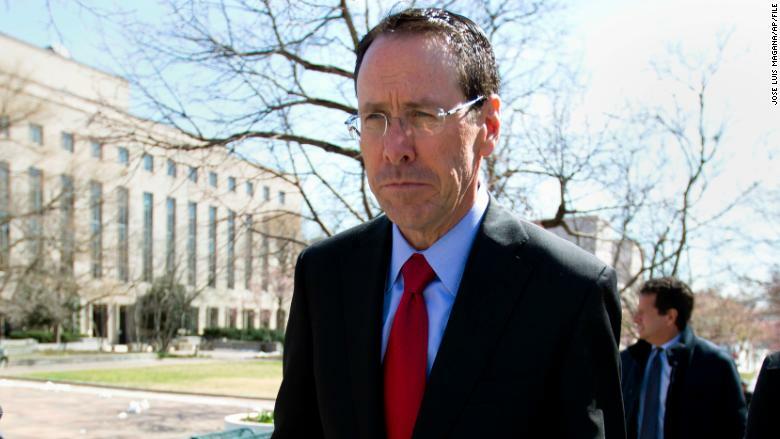 The idea, AT&T CEO Randall Stephenson said, is that "if you can make the premium video side operate and behave more like the digital side, people will invest more and be excited about the advertising model on that side." In the not-too-distant future, according to AT&T's pitch, TV ads on channels like CNN will be tailored to the viewer who is watching, so a mom with kids will see different messages than a college student. Numerous other companies are also working on so-called addressable TV advertising. AT&T is unique because it owns a basket of cable channels, through its recent acquisition of Time Warner, and it has a huge number of customer relationships through its wireless division. Time Warner, now renamed WarnerMedia, includes CNN, TNT, HBO, and other brands. "We have data. We have great content. We have direct-to-consumer distribution. and we have technology," Xandr CEO Brian Lesser said. Lesser, who joined AT&T a year ago to launch this advertising division, revealed the new name while on stage at a conference on Tuesday. The name Xandr is a nod to Alexander Graham Bell, the founder of the phone company that eventually became AT&T. Lesser said his goal is a "premium marketplace" for buying ads on TV and the web. In the media industry, there's been a lot of curiosity about AT&T's plans because Google and Facebook have become known as the "digital duopoly," gaining market power at the expense of other players. Lesser's argument, reiterated on stage Tuesday, is that a robust advertising business is necessary to fund TV production -- to "fuel the great content being developed." Improving the state of TV advertising was one of the tentpoles of the Time Warner acquisition, which took effect in June. "So far so good," Stephenson said when interviewed by CNN's Poppy Harlow on Tuesday morning. Stephenson said that WarnerMedia CEO John Stankey is working on plans for increased investments at HBO, one of the flagship brands within the portfolio. Stephenson followed up on his recent comments that Netflix is akin to Walmart while HBO is akin to Tiffany. He said Walmart CEO Doug McMillon "called me the next day," wanting to know what he meant. "They're a really big customer," Stephenson said as the audience chuckled. "Look, if I am going to go shop for something, whatever it is, I want to go one place," Stephenson said, referring to Walmart and Netflix. As a streaming service, Netflix has amassed an enormous amount of content. But HBO's brand is about being the "premium" option, he said, citing "Game of Thrones" as an example. At the same time, he said AT&T wants to ensure that "there's always something new and fresh on HBO," thereby reducing the number of people who unsubscribe and resubscribe to the service. "I think we should aspire to everyday engagement on these platforms," he told Harlow. Stephenson also asserted that the media world is "averse and reluctant to change" when it comes to new ways of doing business. "It's fascinating to me," he told Harlow. "You think of media and entertainment, and how it moves fast, but in terms of business models and changing how you deliver the product, it is an industry that has about as much inertia as any industry I've been involved in." He cited past experience with companies like Boeing. He said media is "a very slow moving industry," and he made clear that he'd like to accelerate it.